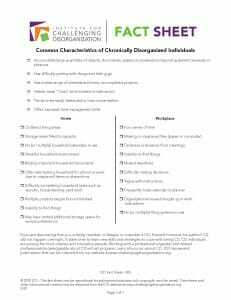 Many downloads on this page are sourced by the Institute for Challenging Disorganization. Go here for more resources and support. 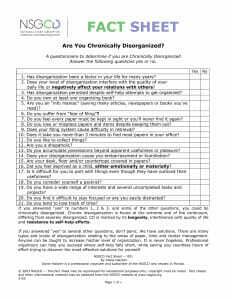 Chronic Disorganization (lifetime struggle with staying organized) is often related to a number of other conditions, including: depression, addictive behaviors/impulse control disorders, OCD, ADHD, and of course, compulsive hoarding. Situational disorganization occurs when one finds oneself in clutter or chaos for a short period of time, resulting from an unusual turn of events or changes in your living arrangements. 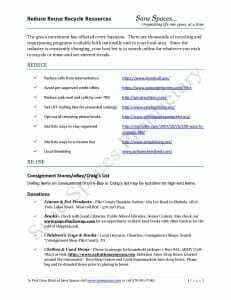 Professional organizers may be able to provide solutions, strategies, suggestions, resources and relief. The green movement has affected every business. There are thousands of recycling and repurposing programs available both nationally and in your local area. Search online to recycle or reuse and see current trends. 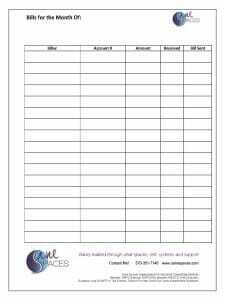 This one-page template was designed to be used by the person who needs to track hand-written checks and when bills should be mailed. I originally designed it for a client who paid checks “the old fashioned way”. She filled it in once, then made copies to be sure she knew when bills were due and when they were sent. 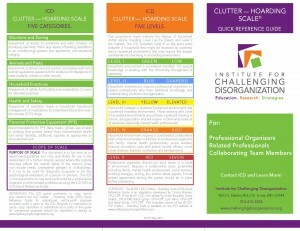 The purpose of the NSGCD Clutter-Hoarding Scale is to guide professional organizers and related professionals in their initial, pre-session contact (phone or onsite) or first session assessment work. 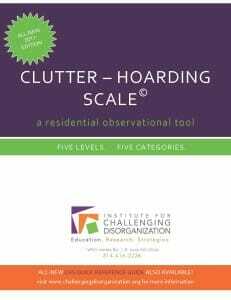 Five progressive levels indicate the degree of household clutter and/or hoarding; Level I as the lowest, and Level V the highest. Keep this handy quick-reference guide close by. 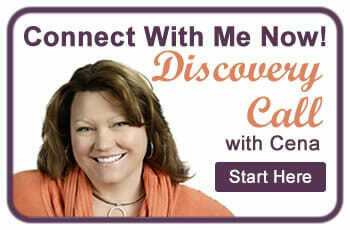 If you are discovering that you, a family member, colleague or coworker is CD, first and foremost, be patient! CD did not happen overnight. It takes time to learn new skills and strategies to cope with being CD. 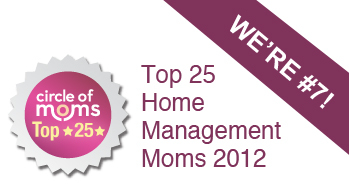 Disorganization can be caused by many factors. 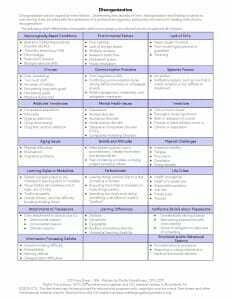 Determining the cause(s) of one’s disorganization and finding solutions to overcoming it can be aided with the assistance of a professional organizer. 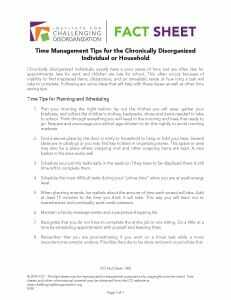 Chronically disorganized individuals usually have a poor sense of time and are often late for appointments, late for work and children are late for school. These ideas will help with these issues as well as other time saving tips. Chronically disorganized individuals often are challenged with procrastination. Procrastination is a habit and not a fatal flaw. Most of us do not welcome change easily. Here are just a few ideas to help with this challenge. 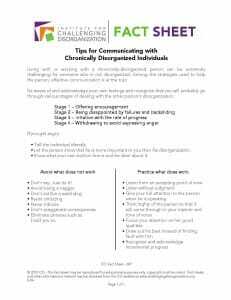 Living with or working with a chronically-disorganized person can be extremely challenging for someone who is not disorganized. Among the strategies used to help the person, effective communication is at the top! If you are a chronically disorganized person, you have probably come to realize that the act of organizing is not something you do well when you are by yourself. 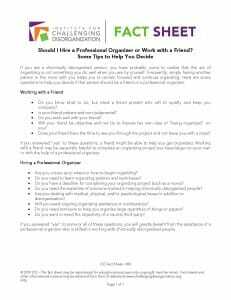 Here are some questions to help you decide to use a friend or a professional. 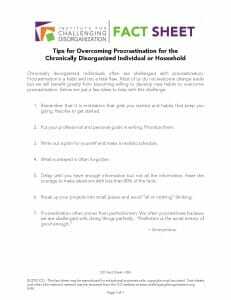 Individuals who are chronically disorganized can take a long time to experience big changes. 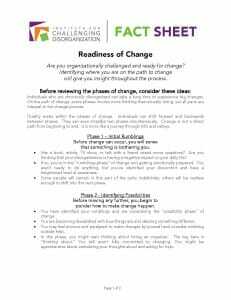 On the path of change, some phases involve more thinking than actually doing, yet all parts are integral to the change process. 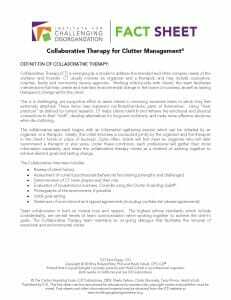 Collaborative Therapy (CT) is emerging as a model to address the blended and often complex needs of the clutterer and hoarder. CT usually involves an organizer and a therapist, and may include counselors, coaches, family and community service agencies. 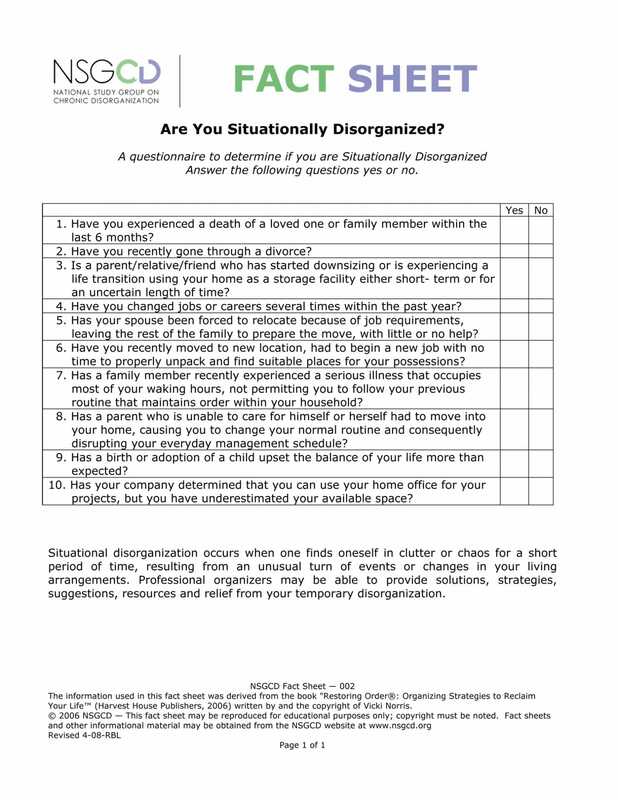 Many downloads on this page are sourced by the Institute for the Challenging Disorganization. 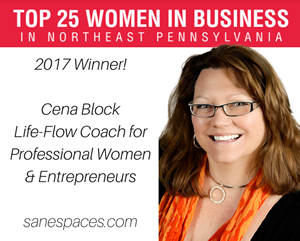 Go here to find amazing resources and additional support.